While searching for the best quality fish oil supplements on the market, you need to take a few factors into consideration. The quantity of Omega-3 fatty acids, the source of the oil, product purity and freshness. 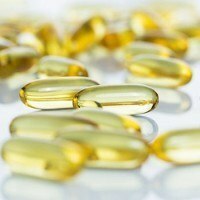 Before we explore 4 of the top fish oil supplements, let’s discuss why fish oil is so important to add into our supplement routine. Omega-3 fish oil supplements are the single best source of essential polyunsaturated fatty acids. Fatty acids that are vital to our cellular health, immune function and cognitive development. The fatty acids most commonly found in fish oil supplements are EPA (Eicosapentaenoic Acid) and DHA (Docosahexaenoic Acid). The most recent fatty acid found in fish oil is DPA (Docosapentaenoic Acid). Omega-3 EPA fatty acids act as an anti-inflammatory agent in the body. Assisting our immune function while helping prevent chronic inflammation. Omega-3 DHA fatty acids help with the maintenance and production of healthy cellular membranes. 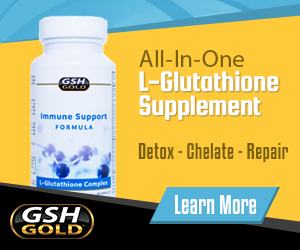 This helps ensure optimal cellular growth and development, impacting our overall health and well-being. Omega-3 DPA fatty acids are a more recent discovery. It is considered the most potent Omega-3 fatty acid, providing powerful anti-inflammatory benefits. Other Ingredients: Gelatin, vegetable glycerin, purified water, natural enteric coating, natural sunflower tocopherols, rosemary extract. Oil Source: Sustainably-sourced anchovy, menhaden, sardine and mackerel. OmegaVia Fish Oil is exceptionally pure and clearly provides the source of the oil used in their supplement. The above ingredients are found in every 1 capsule, making it one of the most potent fish oil supplements pill for pill. OmegaVia not only uses the common EPA and DHA, but a range of other fatty acids, including the potent DPA fatty acid. OmegaVia Fish Oil is our #1 pick for top fish oil supplement. As far as purity, value and quality are concerned, this is a no-brainer. Vitamin Shoppe – Omega-3 Fish Oil is a great buy for anyone looking for a quality, no-nonsense fish oil for a great price. Sourcing the oil from small ocean fish like sardines and anchovy helps ensure limited amounts of impurities and toxins that are often found in larger fish. It does not specify whether it contains other fatty acids aside from EPA and DHA. The above ingredients are per 1 capsule. Other Ingredients: Gelatin, water, glycerin, natural orange oil. Ocean Blue – Professional Omega-3 2100™ fish oil seems to contain quite a bit more omega-3 per dose, but this is per 2 capsules. By using natural orange oil they help eliminate the fishy aftertaste that some fish oil supplements have. Ocean Blue also uses quite a bit of DPA compared to most other fish oil supplements, offering one of the most potent formulas available. The unknown oil source is a bit concerning, but the low impurity level helps ensure you are getting quality sourced fish oil without unwanted “Other Ingredients”. Other Ingredients: Bovine gelatin, non-GMO vegetable glycerin, purified water, natural mixed tocopherols. Oil Source: Sustainable wild-caught US whitefish. NutriGold – Triple Strength Omega-3 Gold fish oil is another great value omega-3 supplement. The dosage above is per 1 capsule. Our one gripe with this product is the use of “other omega-3”, how much of this is DPA is unknown. 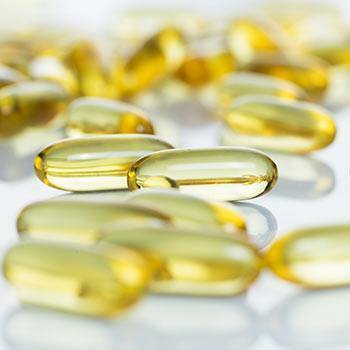 While it is last on our list, keep in mind, this is a list of the 4 best fish oil supplements, NutriGold fish oil is one of the best options on the market.